Have you discovered Jane Iredale Make-up yet? 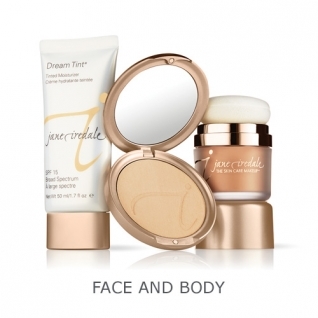 Jane Iredale Mineral Cosmetics – Pure micronized minerals make up. The Skincare Makeup that cares for the skin. It is so safe and beneficial to use that it is recommended the world over by dermatologists and plastic surgeons. This range has a HUGE following! Have a look at her amazing website https://janeiredale.com/ for further information or simply book an appointment to come in for a demonstration and see for yourself why it is so popular.